I made the last of our Mighty Leaf Ginger Peach Tea today. Since we never purchased a kettle I stopped making tea. 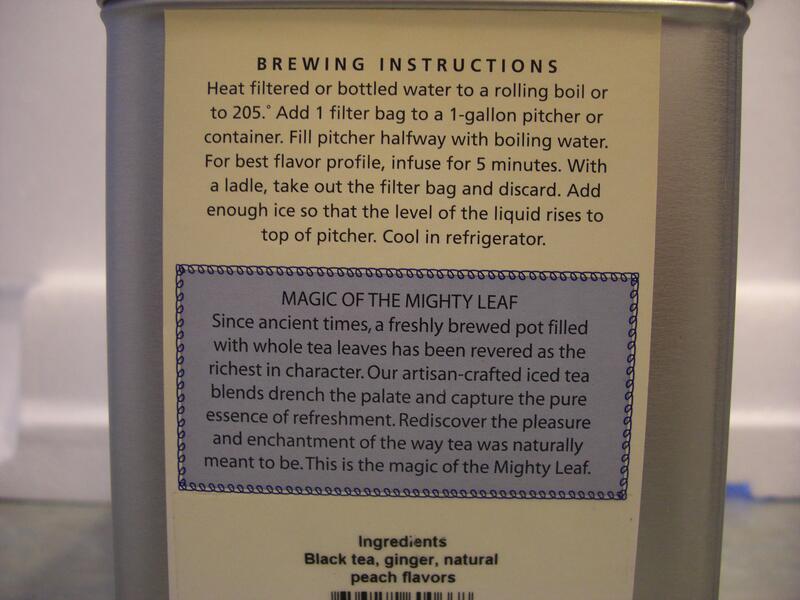 Honestly I just can’t seem to get the proper flavors when I brew the Mighty Leaf tea. I’ve tried various methods to correct this with no luck. The tea smells wonderful when you open the tin. However the flavor doesn’t come through after I brew it. Today I dropped to many tea bags in for the size container I use. When I looked in the tin I could have sworn I had 2 bags left. That is the amount I would need. Only after I dropped the bags in did I see there were 3. 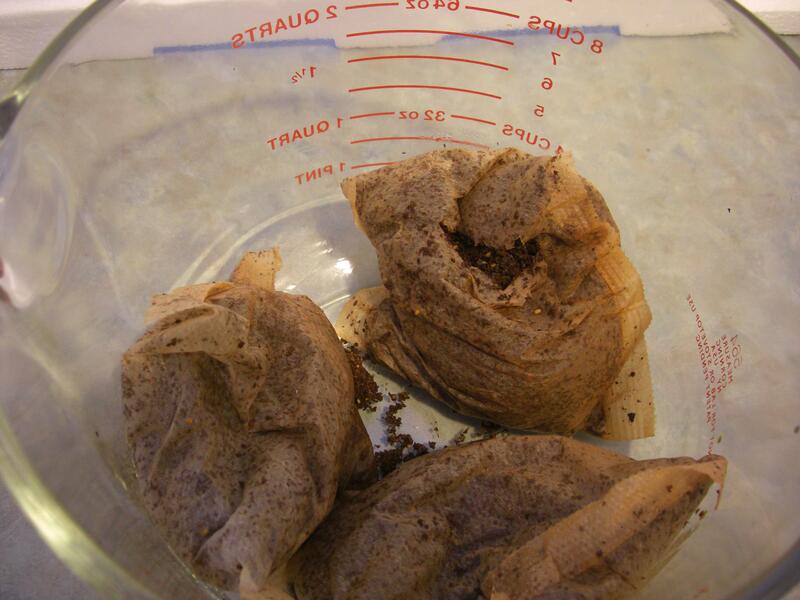 Since there was a slight amount of water in the container it was to late to pull 1 tea bag out. I just looked – it has been 1 year since my first and only Mighty Leaf purchase. That was December 16, 2008. Here is what I purchased Ceramic Iced Tea Disp. 1gal Btr Yellow, Island Breeze Iced Tea 10ct. Tin, Ginger Peach Iced Tea 10ct. Tin and Loose Tea Filters teapot size. The total came to $102.80. Honestly I thought I’d purchased a 2 gallon ceramic dispenser. So I would only need 1 tea bag for brewing instead of two. I think in the past I have tried brewing with 1 & 2 but didn’t taste a difference. When I make the tea above I just don’t end up with a strong peach flavor. There isn’t much ginger there either. 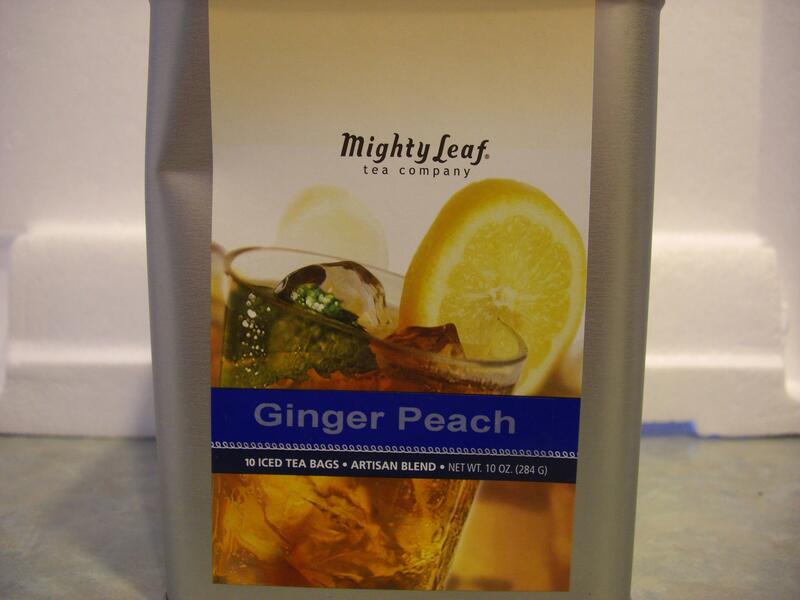 The Mighty Leaf website offers a wide variety of products to help you brew tea. For someone who doesn’t know exactly what they may need this can be overwhelming. The website offers a good amount of information to try and help. However to this point none of it has helped me brew my choice of tea any better. Mighty Leaf Tea Free Shipping on Orders $50+. Plus, free samples with every order!